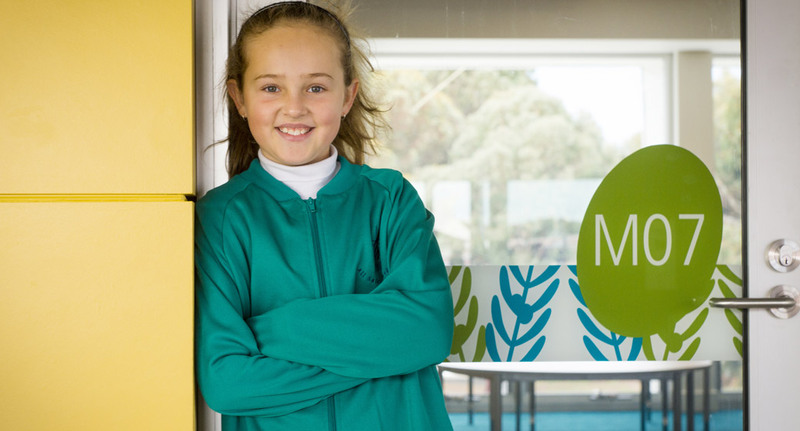 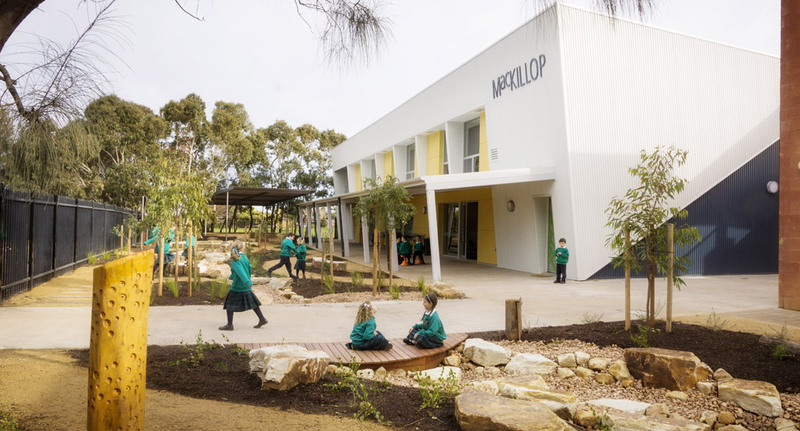 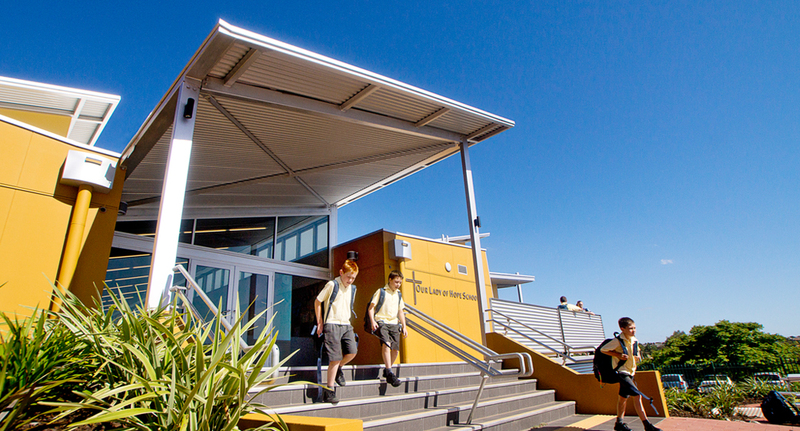 The new two-storey building at All Saints Catholic Primary School in Seaford named ‘MacKillop’ provides three interconnected Learning Areas on each level together with Group Rooms and Student Amenities. 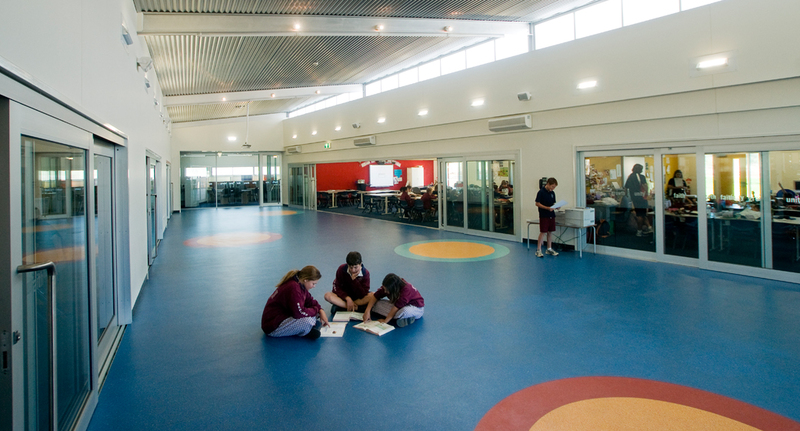 Generous covered and acoustically attenuated break-out spaces are orientated north and south. 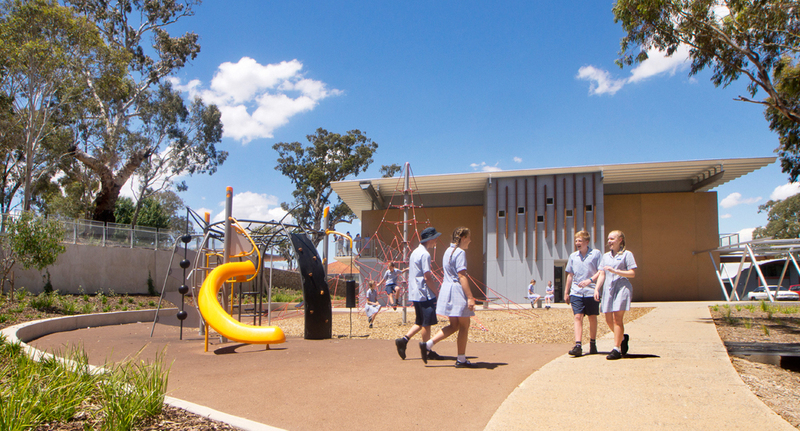 These spaces are seamlessly integrated with the new Nature Play settings and a new site entry. 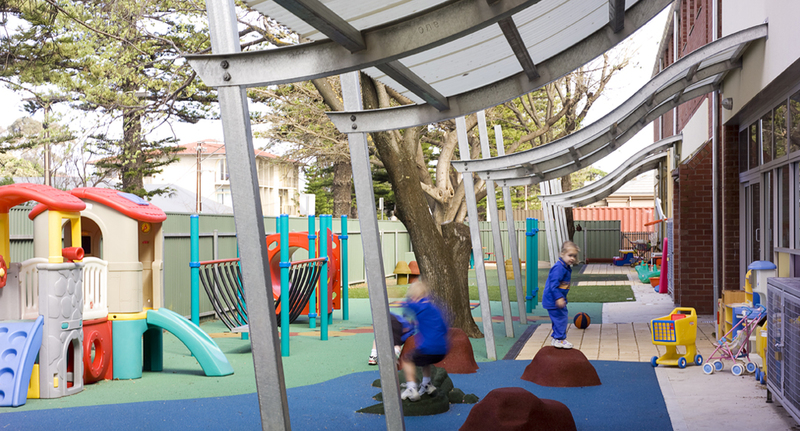 A new covered link provides connection to the Hall and weather protection in the rearranged car park. 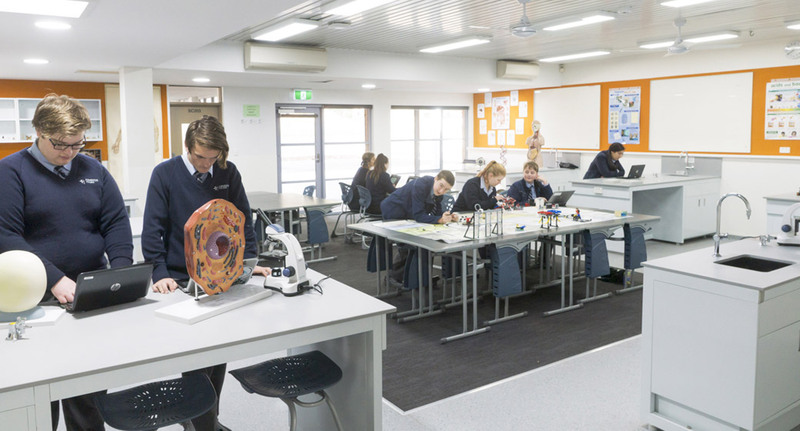 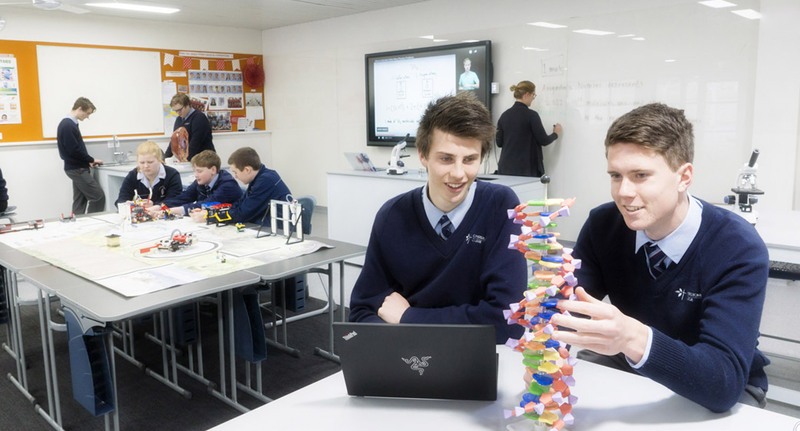 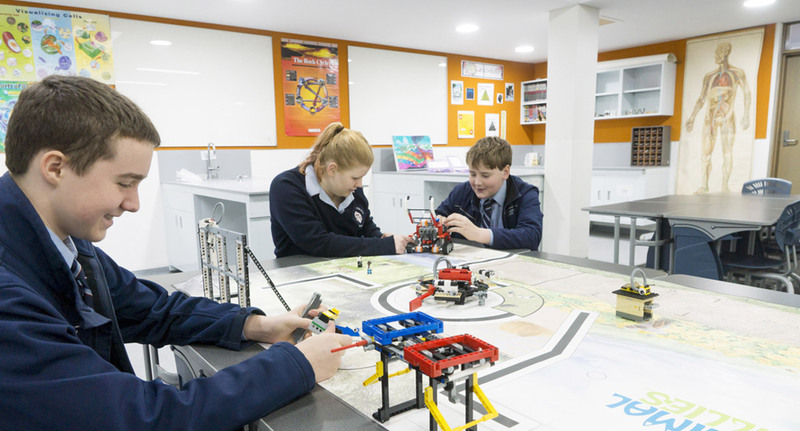 The progressive rework of six existing Science Laboratories provides a flexible space for instruction, group work, cooperative learning and practical activities suitable for the Science Learning Framework across Middle and Senior Schools at Cornerstone College. 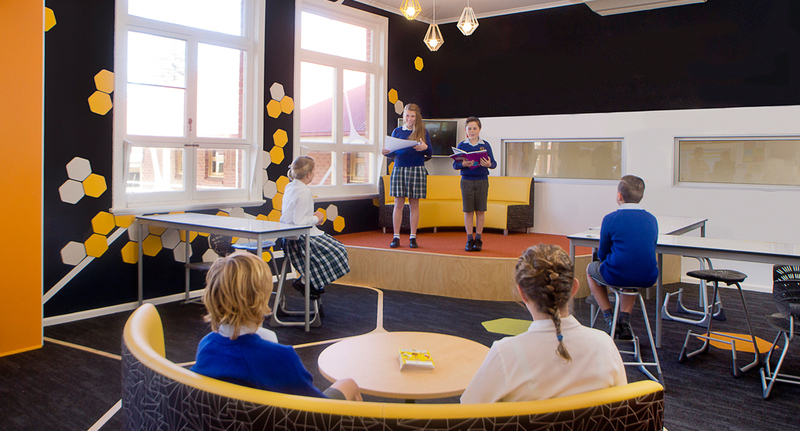 At the centre of these staged refurbishments was the need for engagement and the critical learning skills of collaboration, communication, critical thinking and creativity. 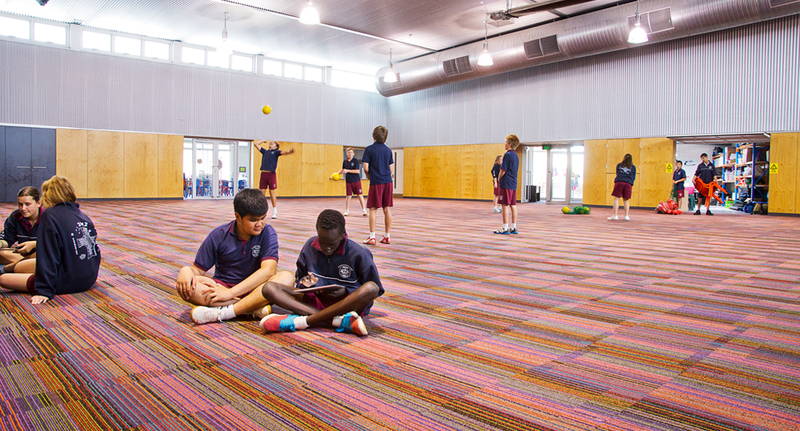 The reworked and enlarged preparatory and storage area provides safe and efficient work flow and movement. 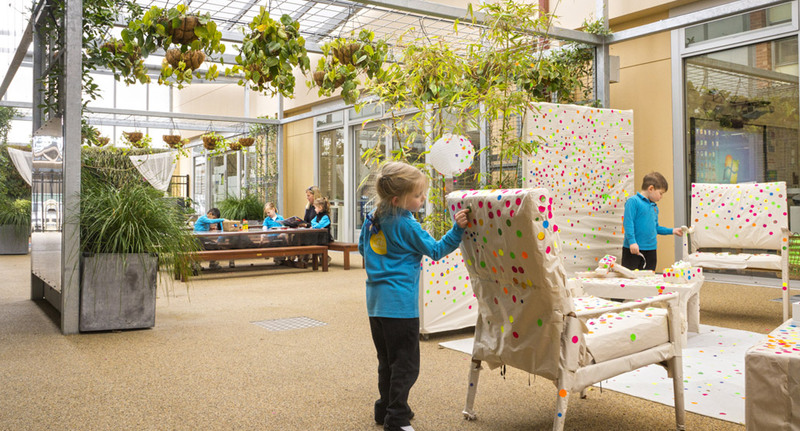 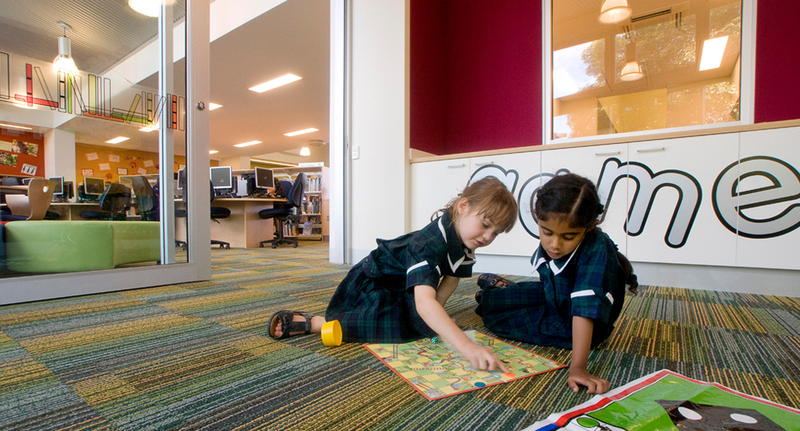 The 75-place facility constructed in 2006 was expanded and reworked in 2016 to cater for 120 places providing a long day care service with a purposeful and engaging program emphasising inquiry, sensory learning experiences and interconnectedness. 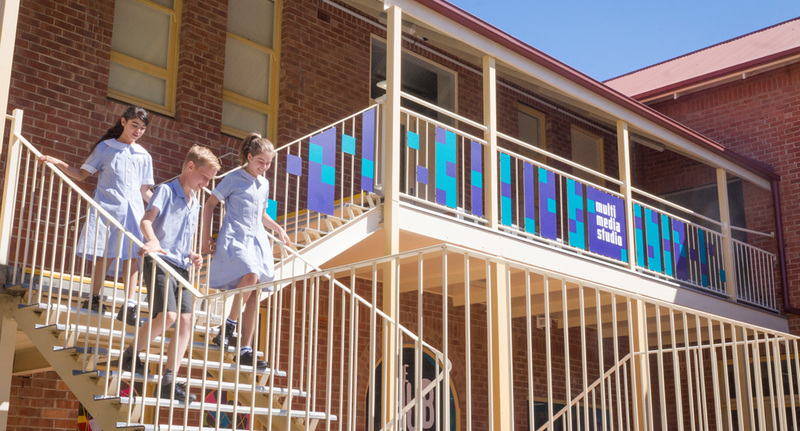 SPW have experienced increased enrolments with long wait lists for the 2, 3 and 4-Year Old Programs with positive transitions from ELC to Primary School. 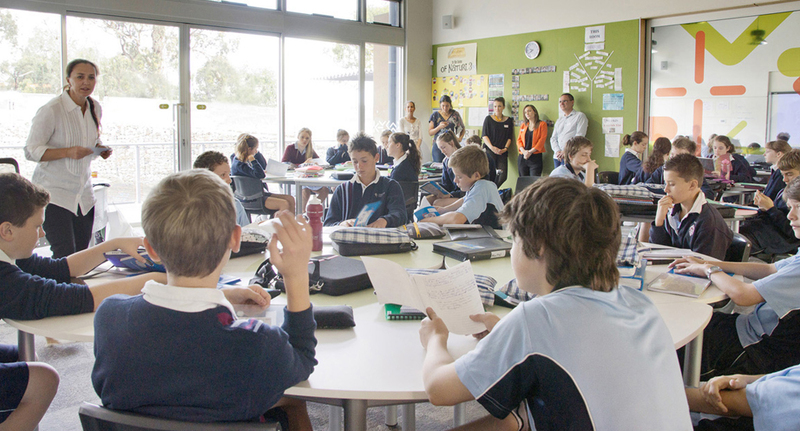 Strong emotional and social improvements for student preparedness for Foundation are also evident. 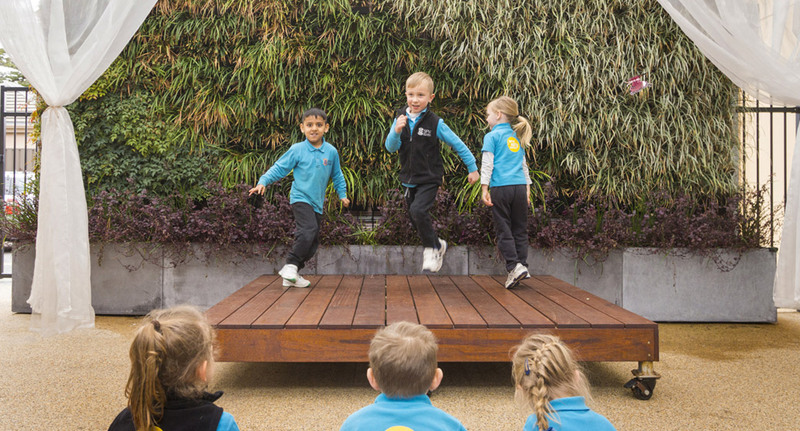 There are now a range of purposeful and delightful indoor and outdoor spaces including the Village Square and Nature Play where students and staff come together, creating a sense of community and belonging. 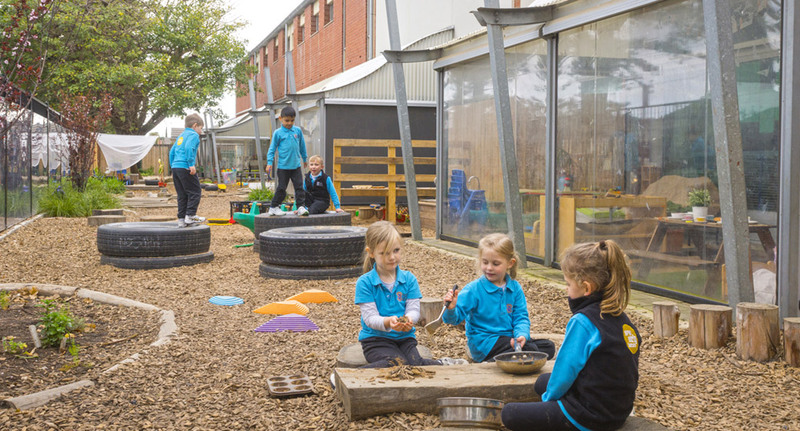 The nurturing, calm and homely environments support student learning and physical well-being. 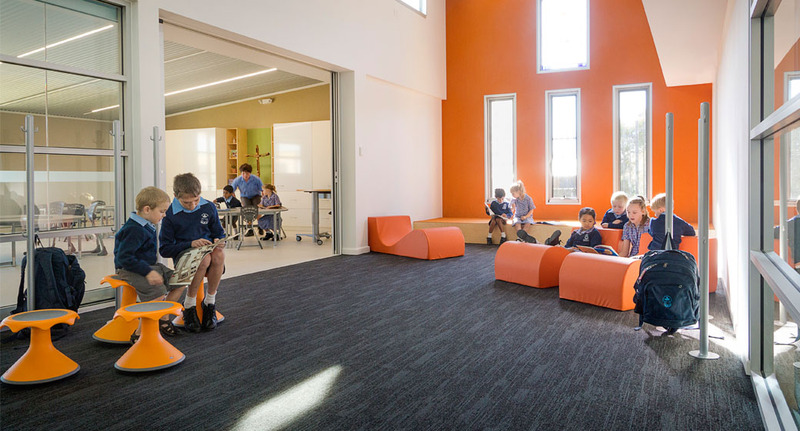 This project was Winner in the Learning Environments Australasia SA Chapter Awards in the Category for Renovations and Modernisation under $2M in 2017. 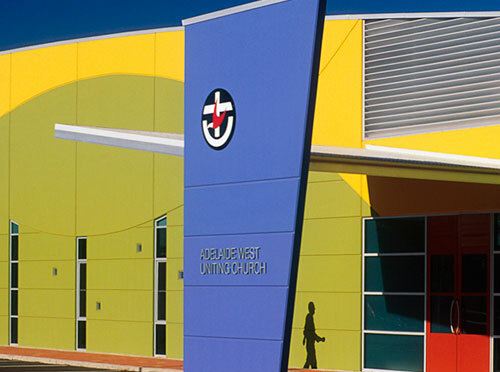 Refer to the Jury Citation. 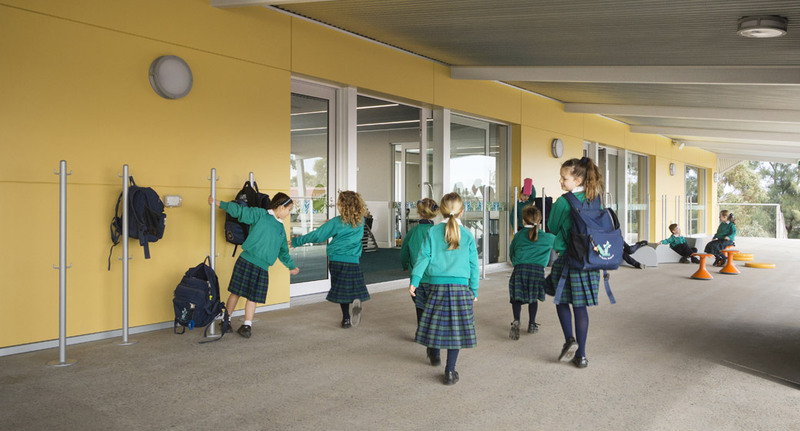 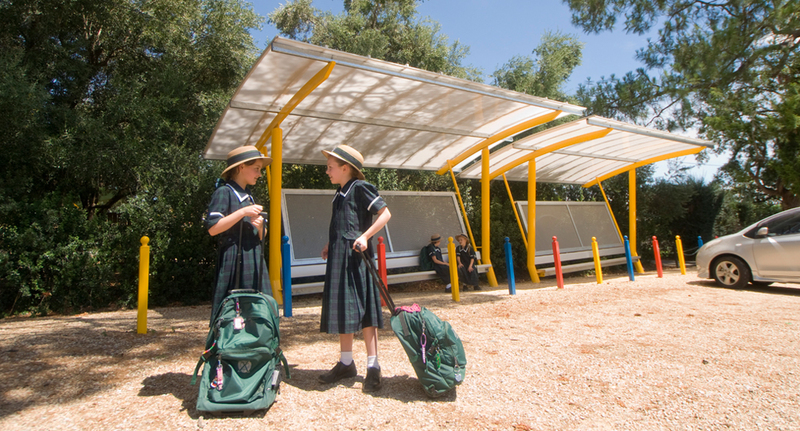 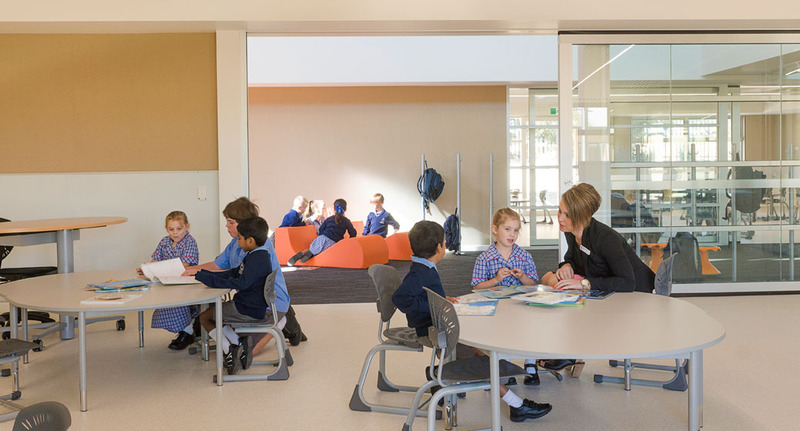 The Learning Cluster for the Reception – Year 2 cohort is the first phase of a multi-staged redevelopment that will progressively transform the indoor and outdoor learning environments at Calvary Lutheran Primary School, Morphett Vale. 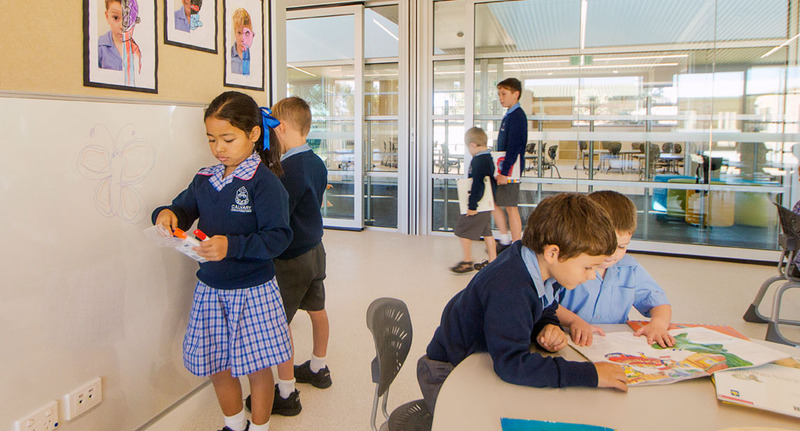 The focus is on improving student outcomes by creating a culture of collaboration, where learners strive to reach for success in all aspects of their journey as learners. 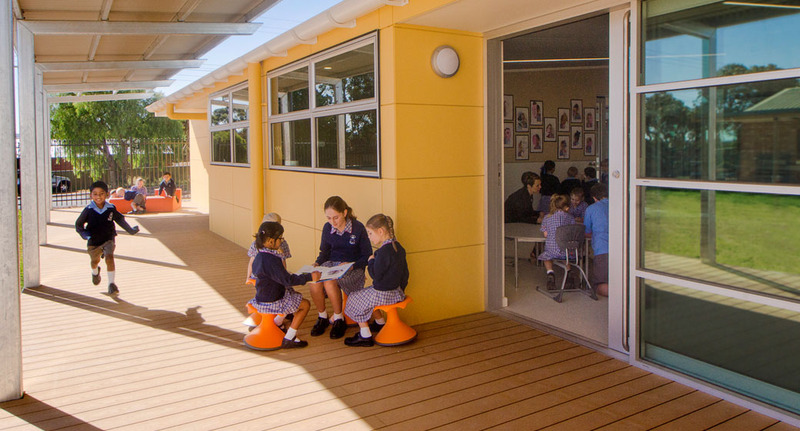 There is seamless physical and visual connectivity between internal and external learning spaces. 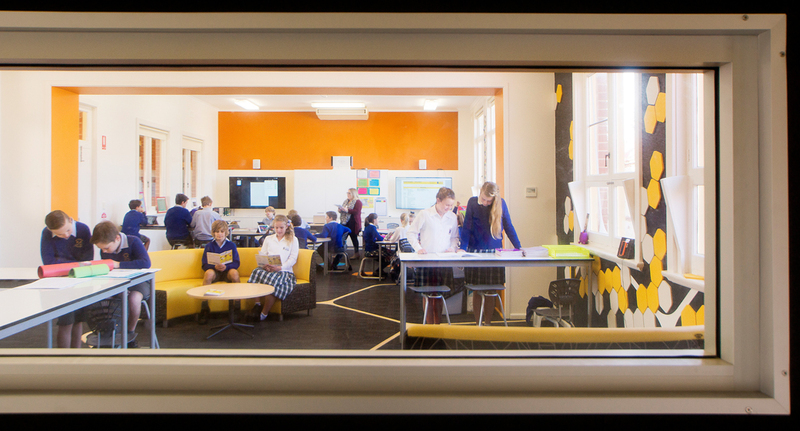 The environment is reflective of the needs of the students. 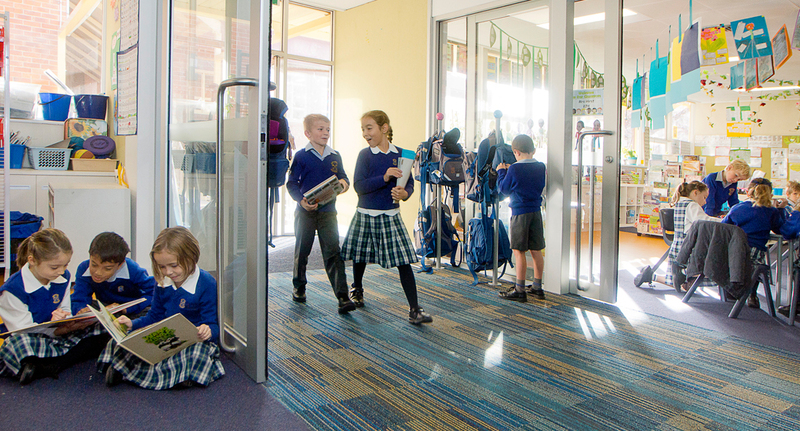 It is open, inviting, calm, inclusive, practical, safe and soothing. 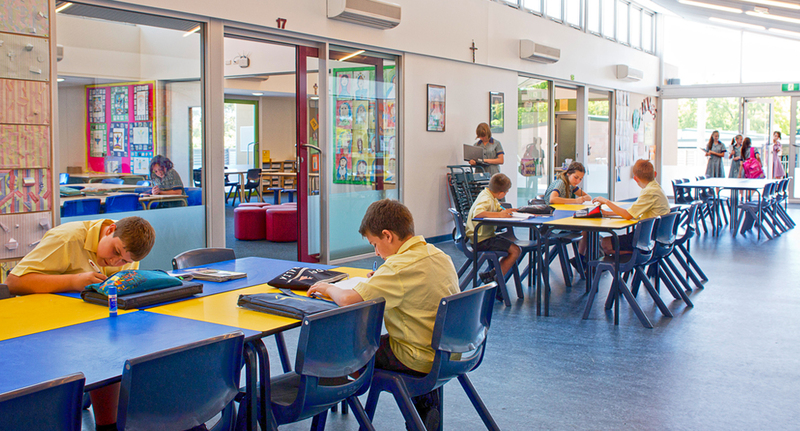 St Peter’s Woodlands Grammar School is progressively refurbishing existing building stock to connect pedagogy and place. 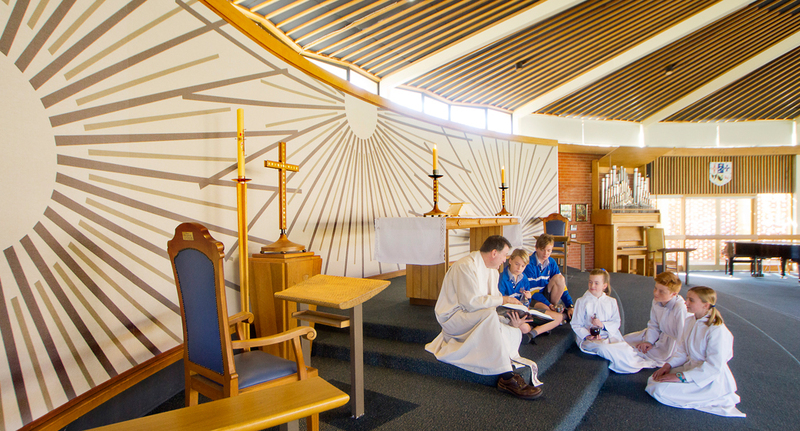 A new Chancel screen for the Chapel of St Margaret of Scotland provided an opportunity for innovative graphic design by Gregg Mitchell. 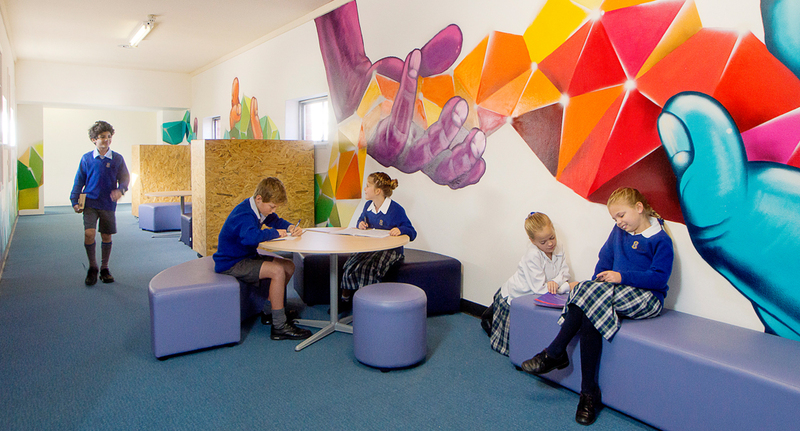 The refurbishment of Gillam Building Year 6/7 Centre provides connected spaces and new loose furniture for informal and collaborative learning around the theme of The Hive. 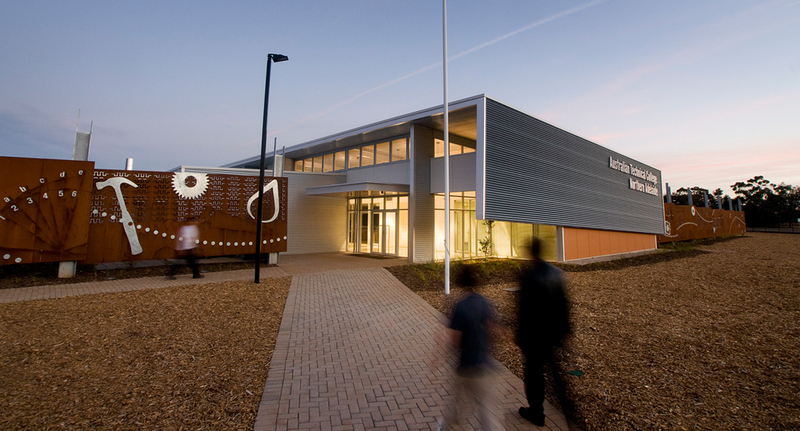 It includes Maker Studios for Multi-Media, Design and Technology. 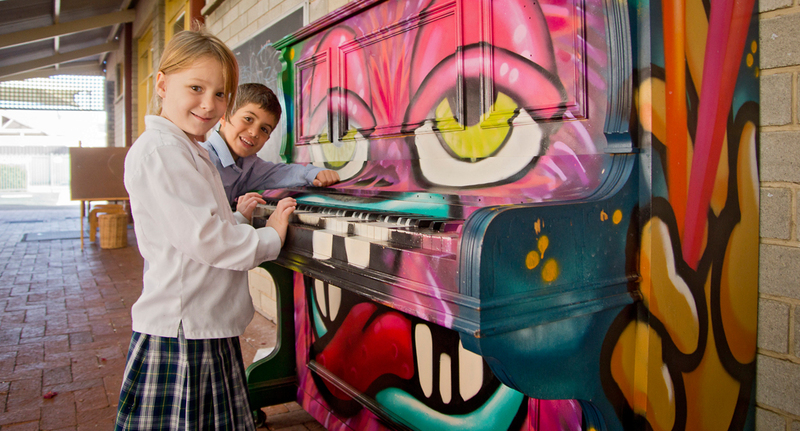 An unloved Link has been enlivened with a series of nooks within the Millington Building, enhanced with street art by Gary Seaman. 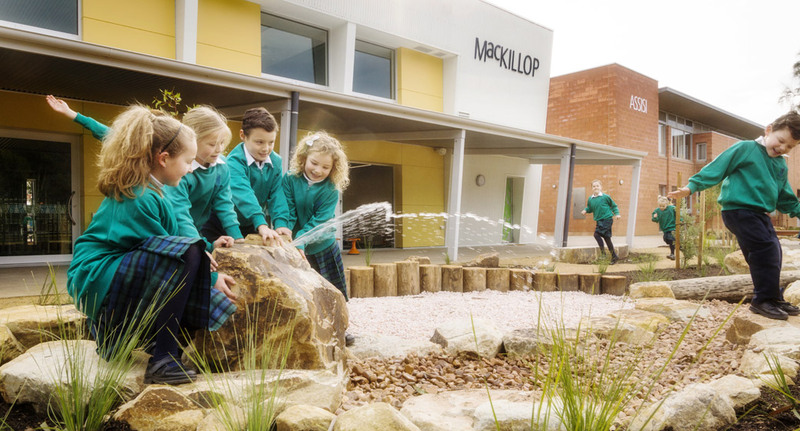 The talking hands connect with wonder, courage, respect and service. 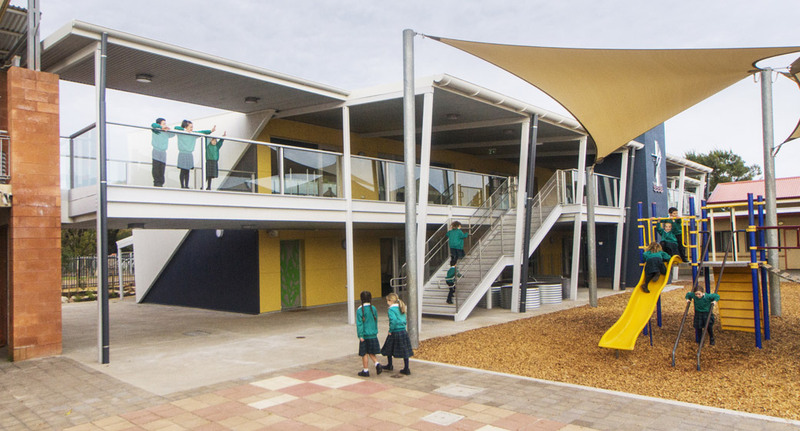 This new two storey building contributes to place making by responding to context and setting. 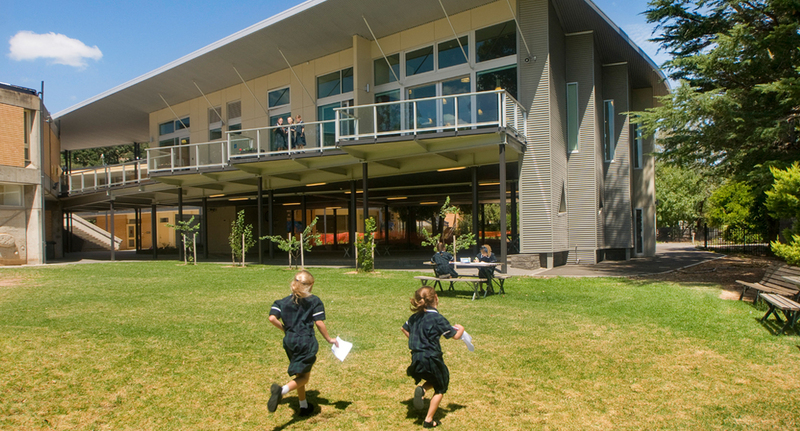 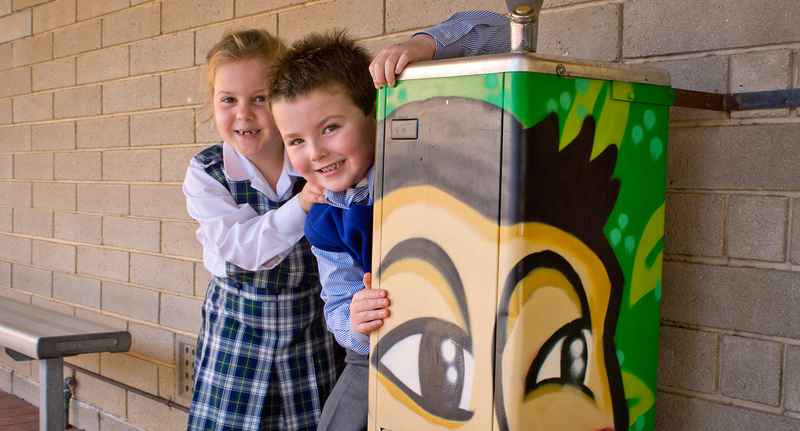 It provides a hub for the Seymour College Junior School in Glen Osmond. 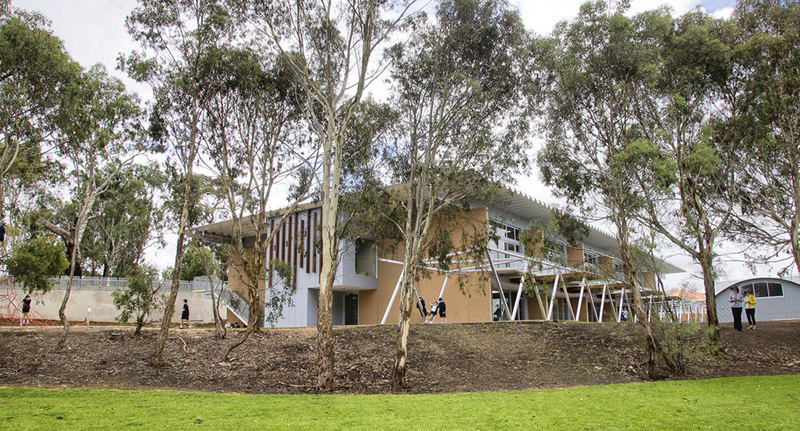 It is affectionately referred to as the ‘tree house’. 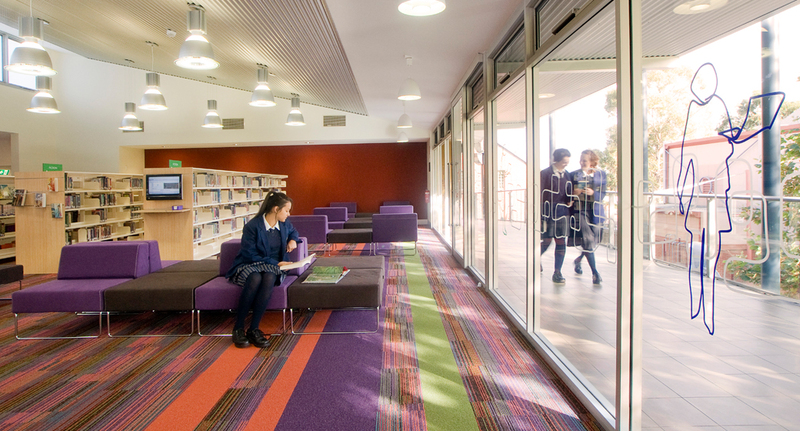 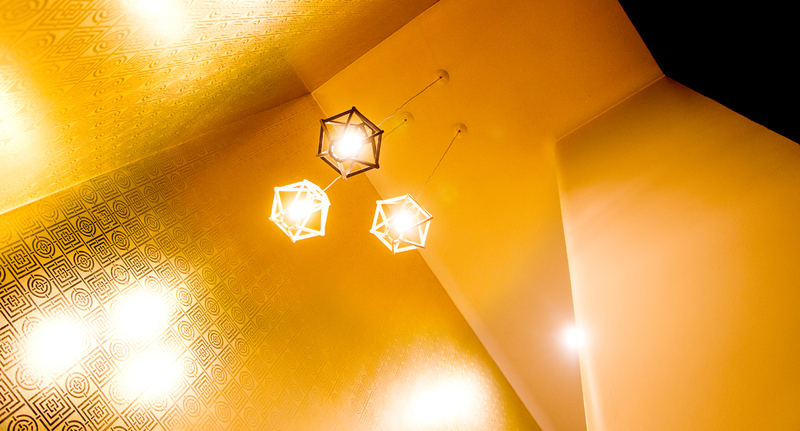 Internal spaces are light and airy, the layout functional and practical. 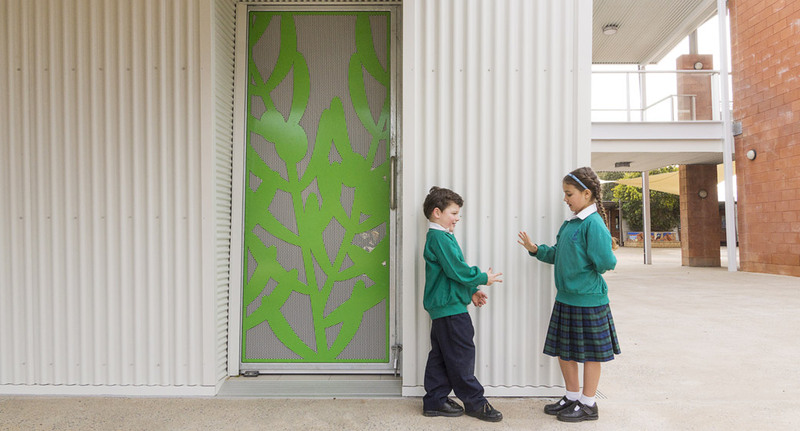 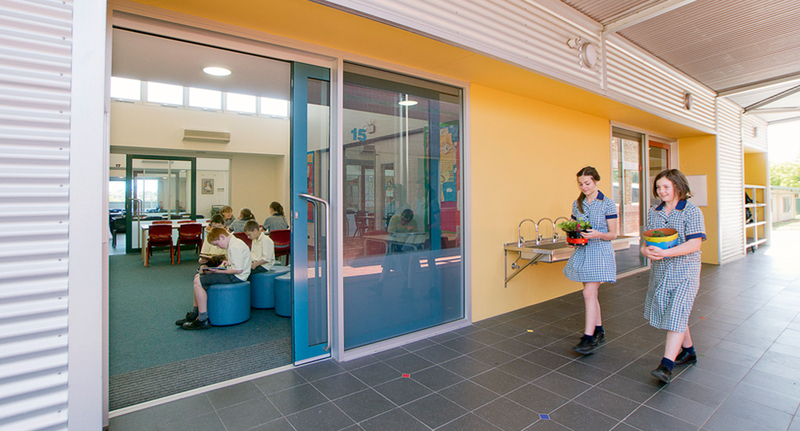 Indoor and outdoor learning spaces and reading decks are seamlessly connected by glazed sliding doors. 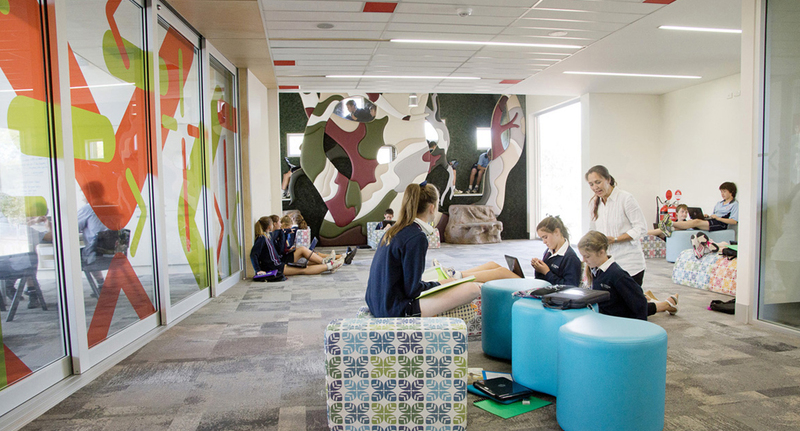 The learning spaces for Year 2 within the Thorpe Building have been holistically reworked to provide physical and visual connection. 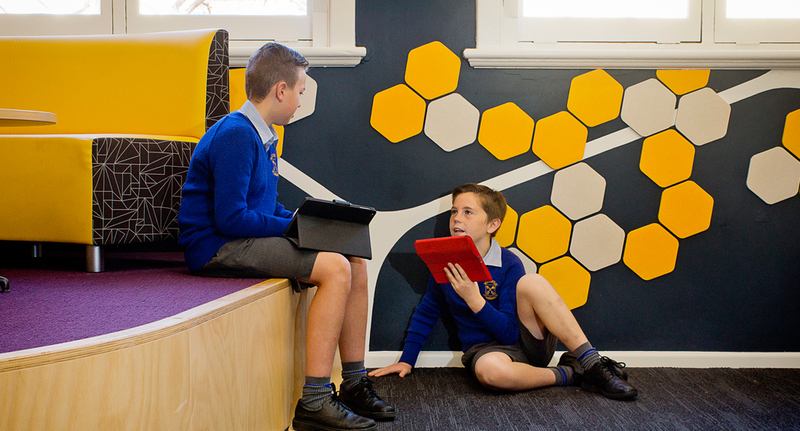 This encourages collaboration for the teacher and student cohorts. 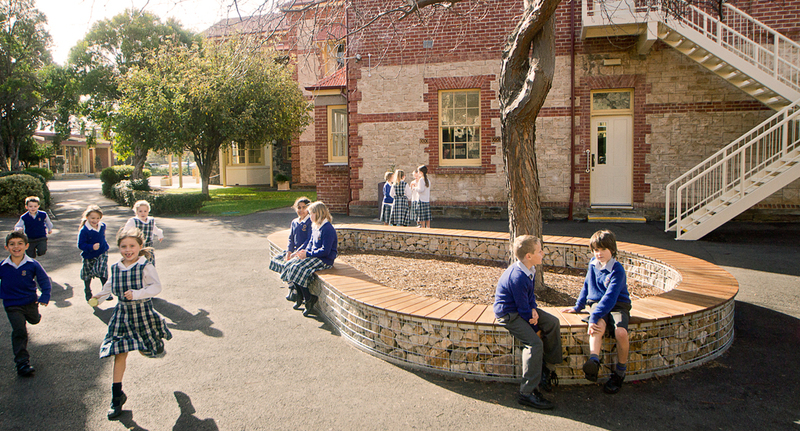 Outdoor spaces have been enlivened with new seating by Greg Healey Design and commissioned graffiti art by Gary Seaman. 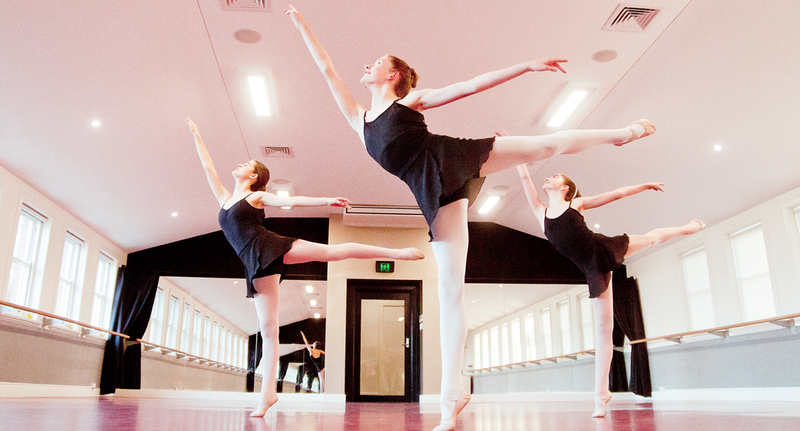 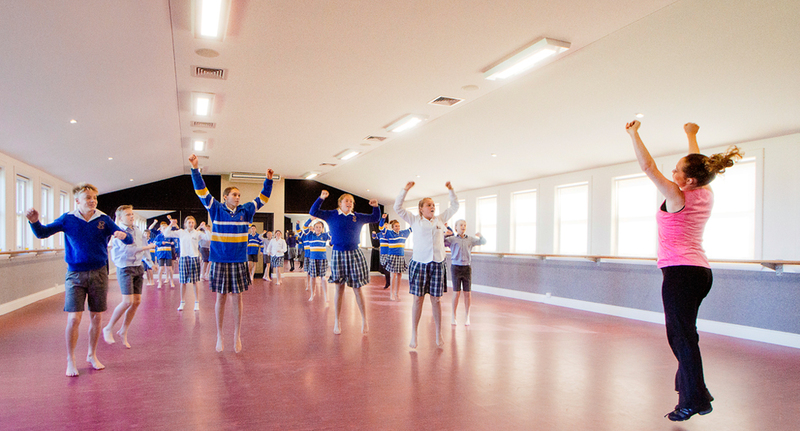 The First Floor of Nutter Thomas Building has been repurposed as a Dance Studio for SPW and the Prestige Dance Academy. 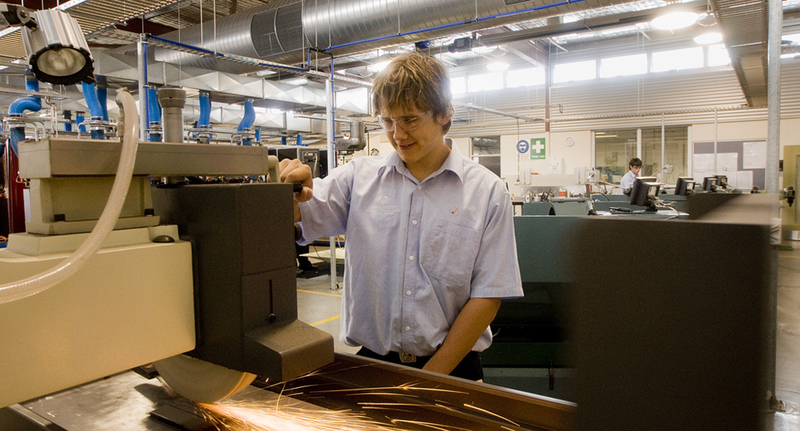 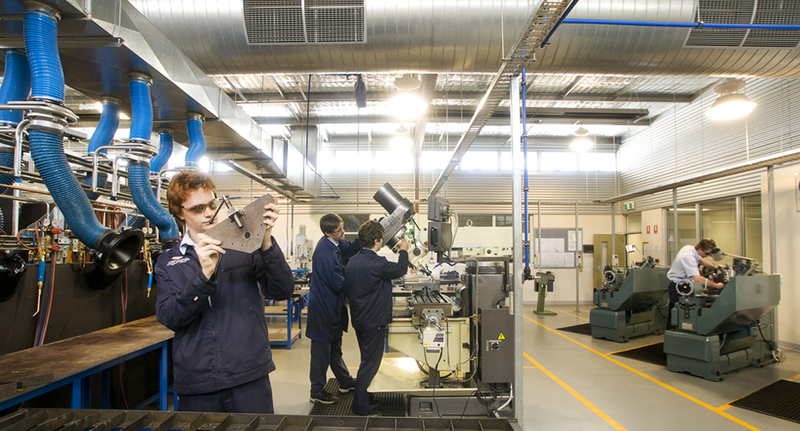 This vocational college comprises a mix of technologically rich learning areas, laboratories, workshops, IT design hubs, seminar and breakout rooms and a series of vocation specific environments for commercial cookery, metals engineering, building and construction, automotive and electro technology. 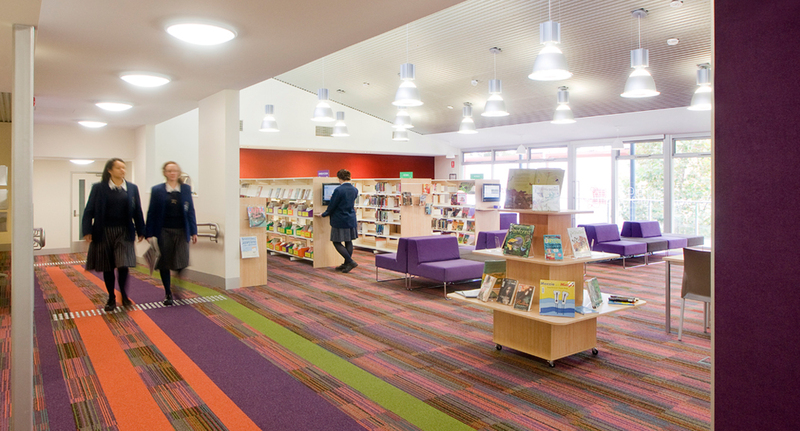 It also includes exhibition, staff and administration spaces. 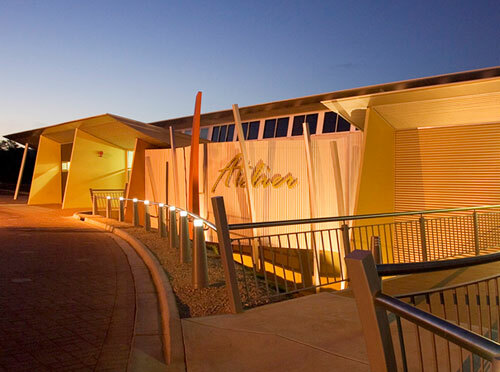 This project located in Elizabeth West received the Architecture Award for Public Architecture, a Commendation for Collaborative Design and the Colorbond Award for excellence in steel architecture from the Australian Institute of Architects SA Chapter in 2009. 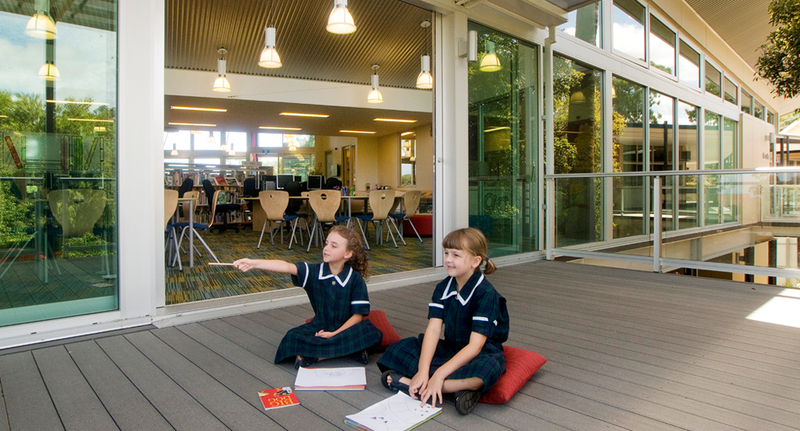 ‘Paideia’ at Cornerstone College provides connected and integrated learning environments that are flexible and adaptable at a moment’s notice. 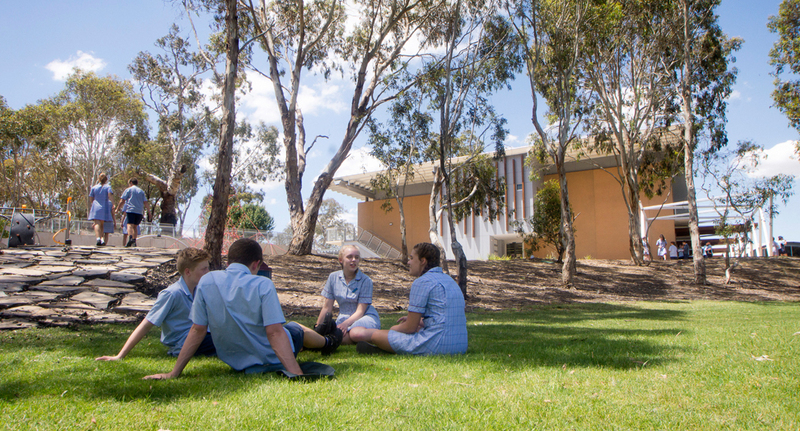 The energy and excitement of the Middle Years students demonstrates that a sense of community, belonging and well being has been established and will flourish. 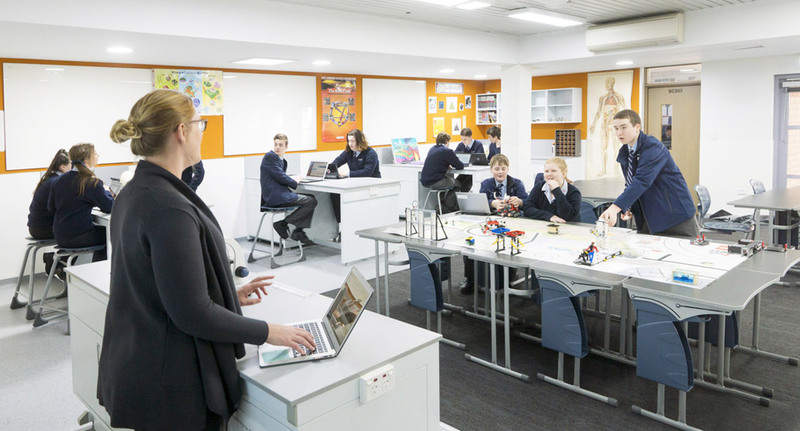 The spatial configurations encourage and support teachers visibly learning from each other, student collaborative learning and reflective activities. 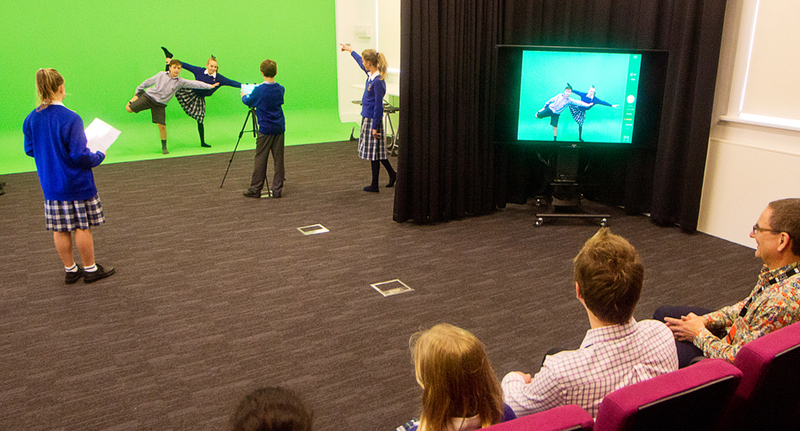 ‘360 Learning’ has been achieved. 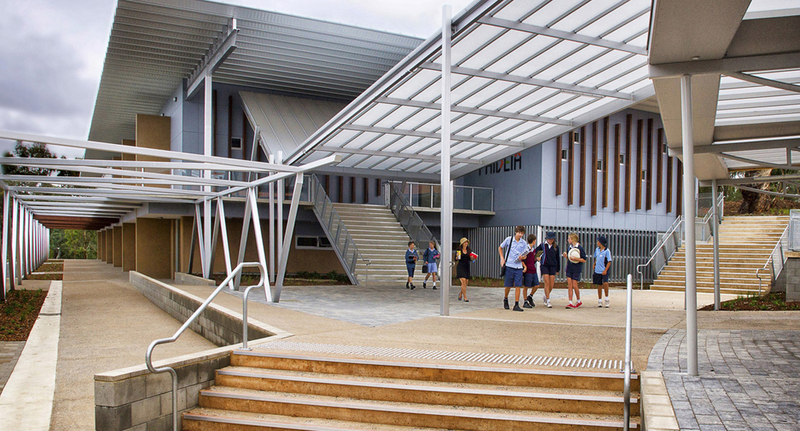 Paideia received two Commendations from the Australian Institute of Architects SA Chapter 2015 Architecture Awards in the Educational Architecture category and from Bluescope Steel for the Colorbond Award for Steel Architecture. 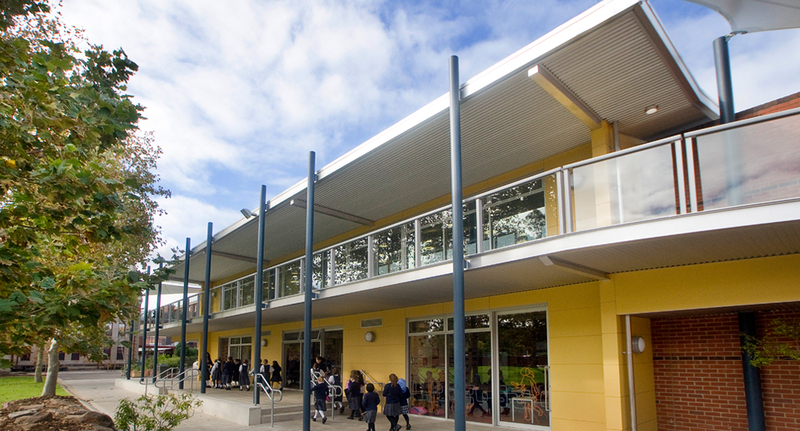 This commission was delivered by Flightpath Architects. 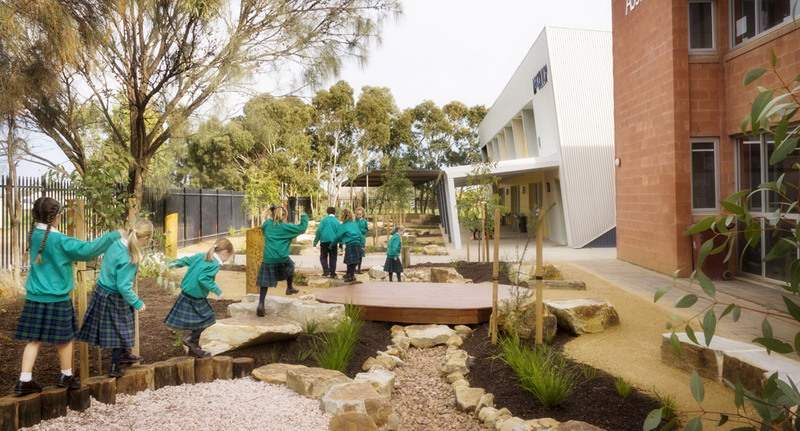 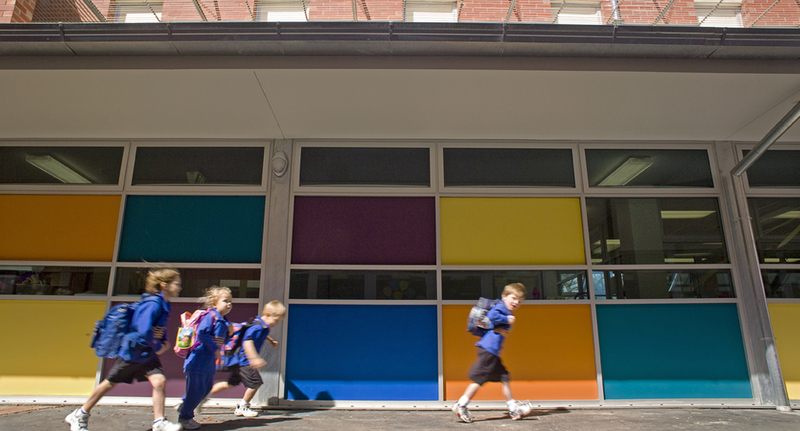 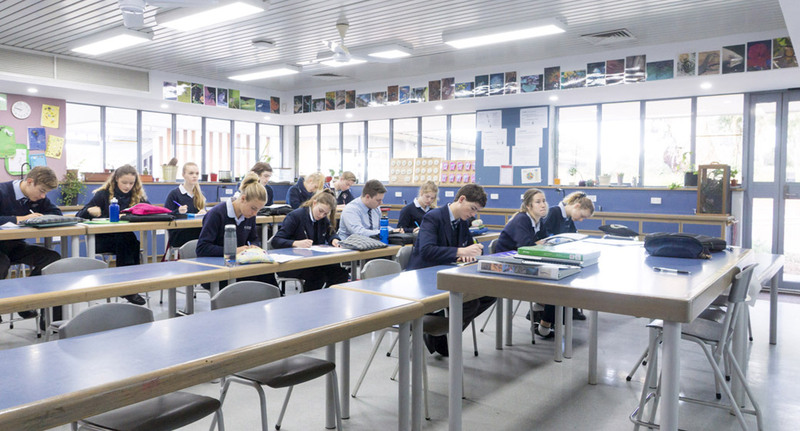 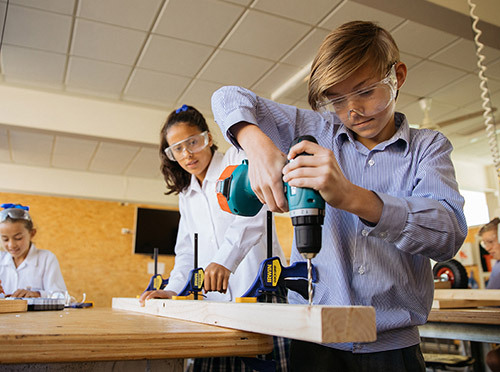 An article “Designing Progressive Schools” by Bension Siebert appeared in the INDAILY Adelaide Independent news online publication on the 11 June 2014. 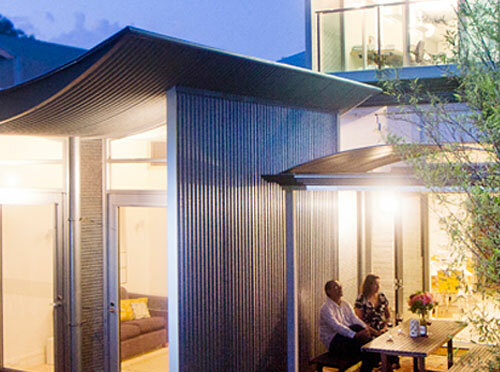 ‘The Pines’ demonstrates that adaptive reuse of existing building stock can be architecturally innovative, creative and fun. 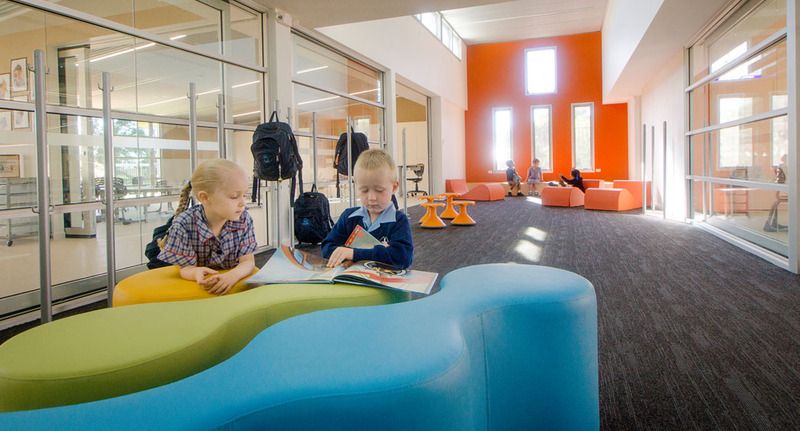 The redesigned linear Hayward Building has been holistically reworked to accommodate Early Learning facilities. 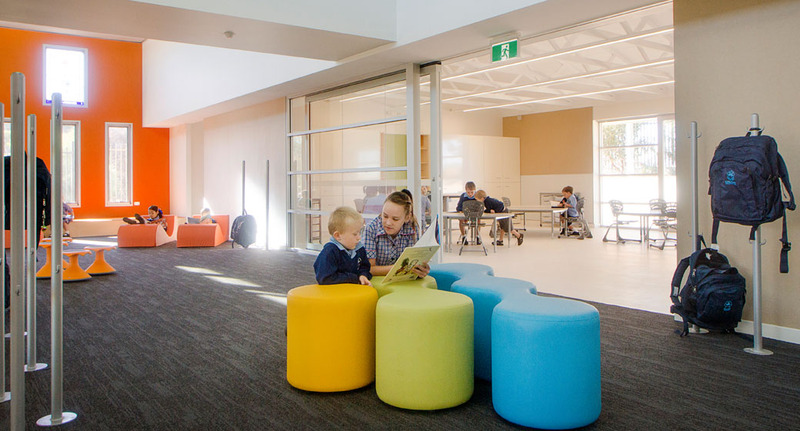 An abundance of natural light, cross ventilation, bright and welcoming colours and interconnected indoor and outdoor environments are a delight. 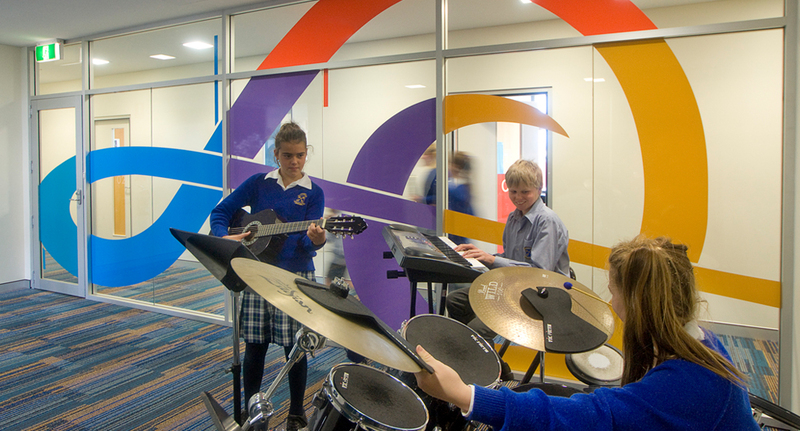 Progressive rework of other existing buildings on the Glenelg campus has included the two storey RJ Taylor Library and Music Suite, Gillam Building refurbishment, Law Smith administration and staff facilities upgrade and the rework of student amenities. 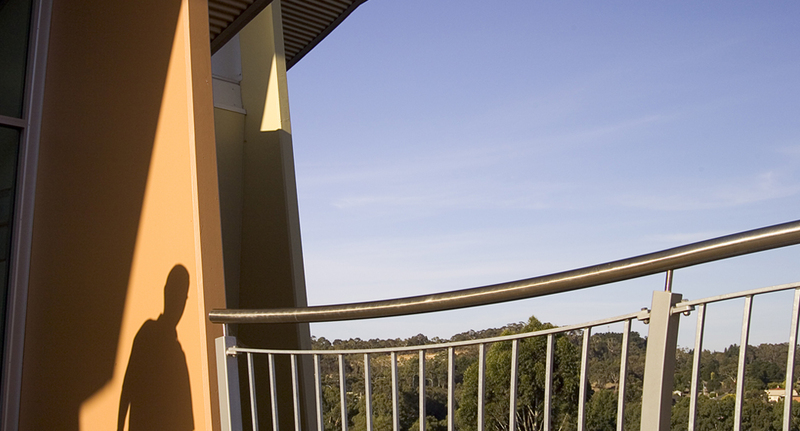 Peter Moeck was appointed SPW Project Manager in 2012 on the strength of trust and rapport established during a seven year working relationship. 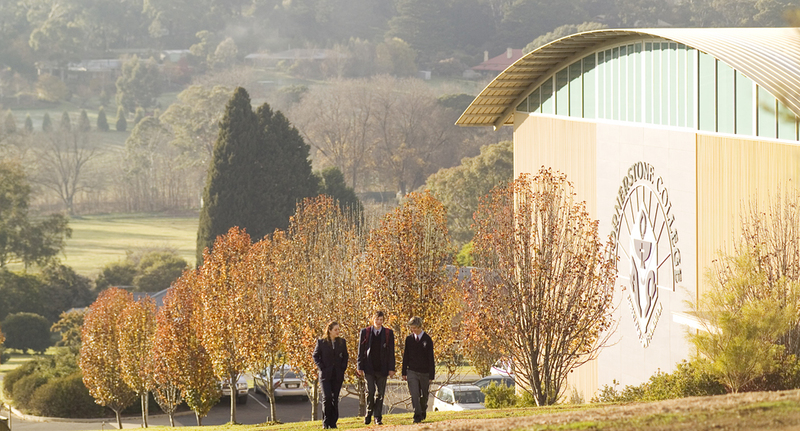 Cornerstone College in Mount Barker was established in 1989 based on a Master Plan by Brown Falconer. 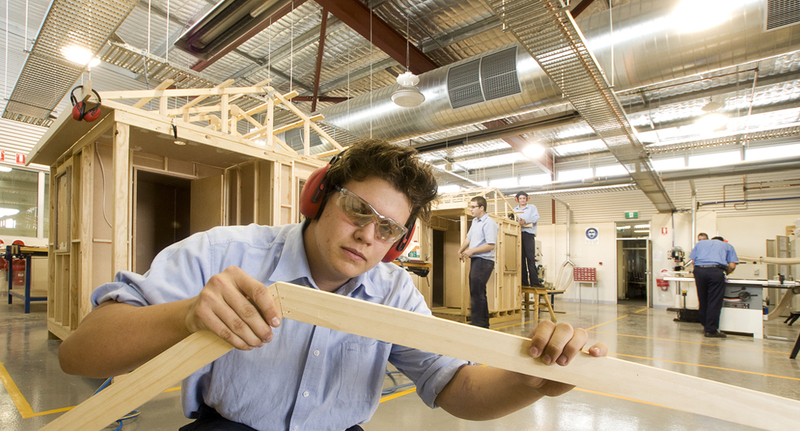 The College has been actively engaged in staged development since inception. 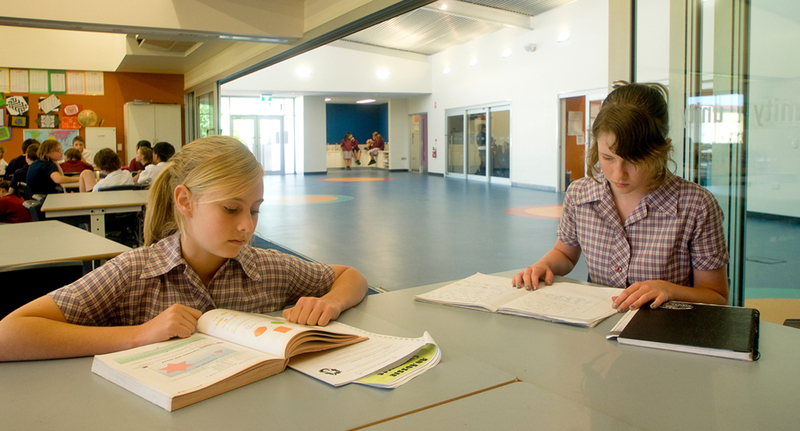 The campus will now accommodate 900 Year 7-12 students commencing in 2014. 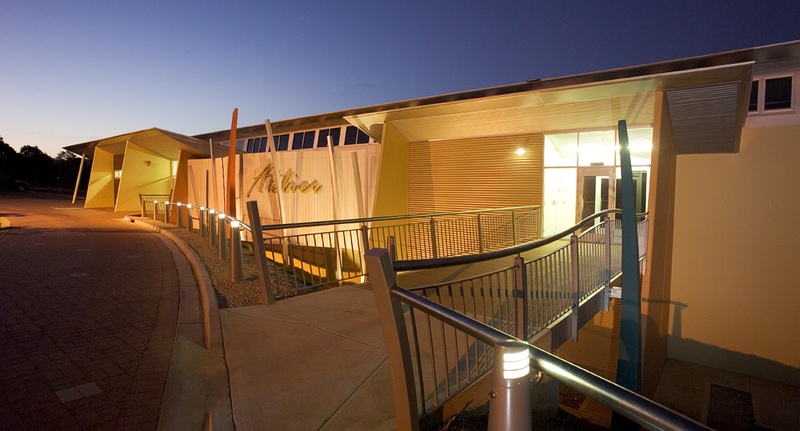 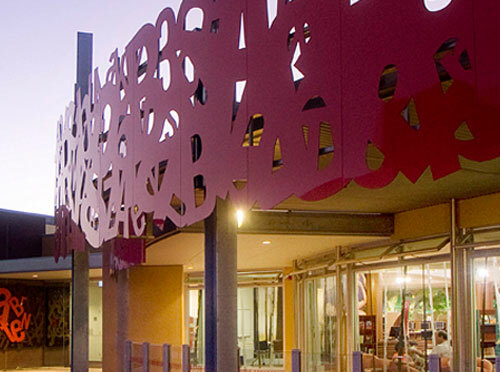 The ‘inbarendi’ indoor recreation and multipurpose facilities received the Australian Institute of Architects SA Chapter Colorbond Award for excellence in steel architecture in 2000. 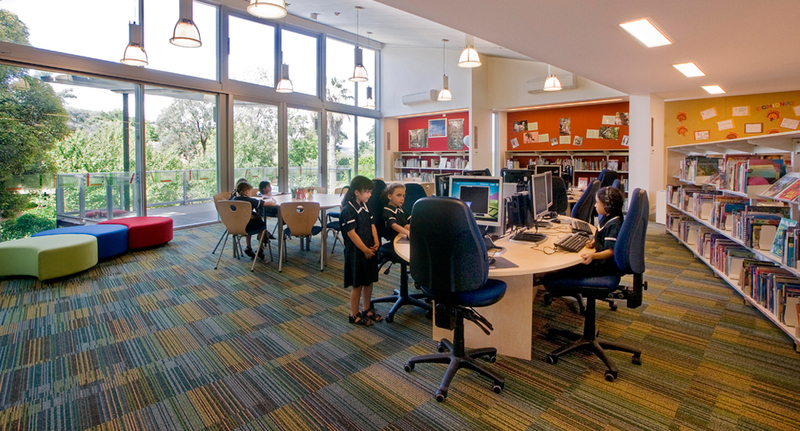 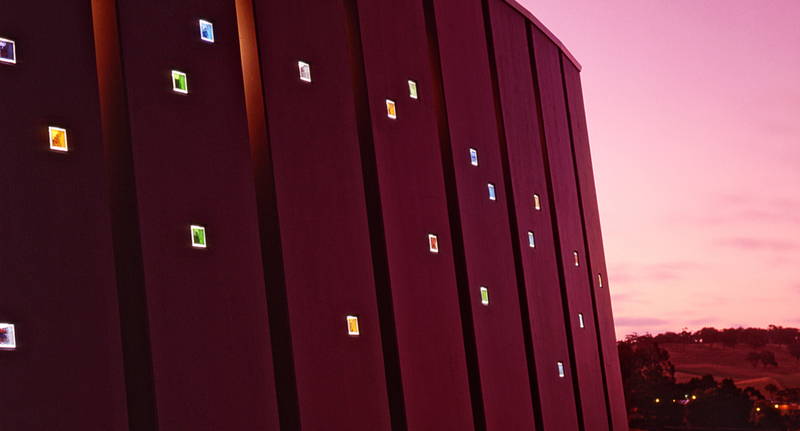 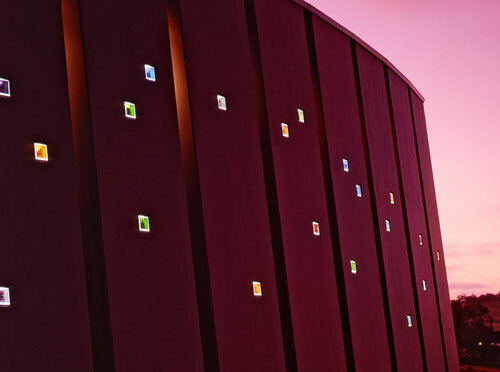 The ‘Anakalypsi’ Resource Centre received a Commendation for Art and Architecture in 2002. 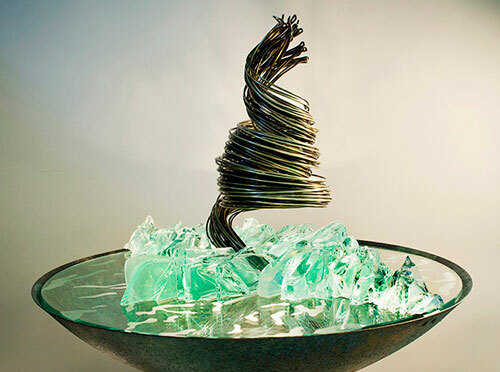 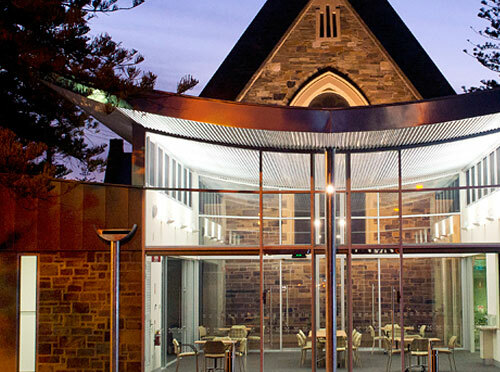 The ongoing building works and site infrastructure have integrated the work of talented and creative artisans since 1994 when Peter Moeck became the College Architect. 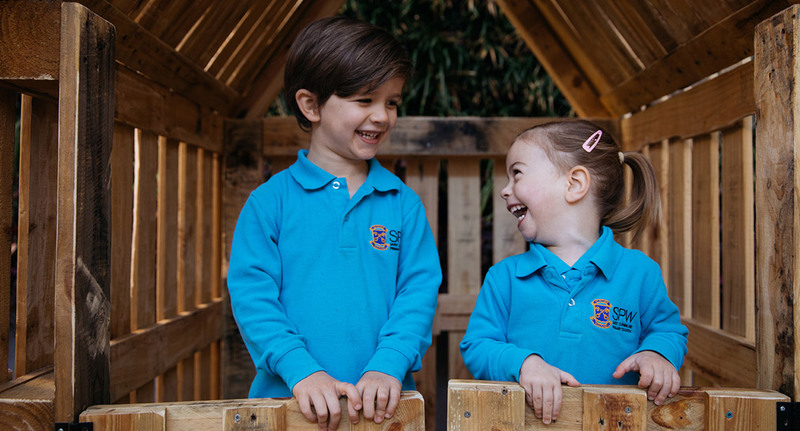 This long term relationship for twenty years has been founded on trust and rapport. 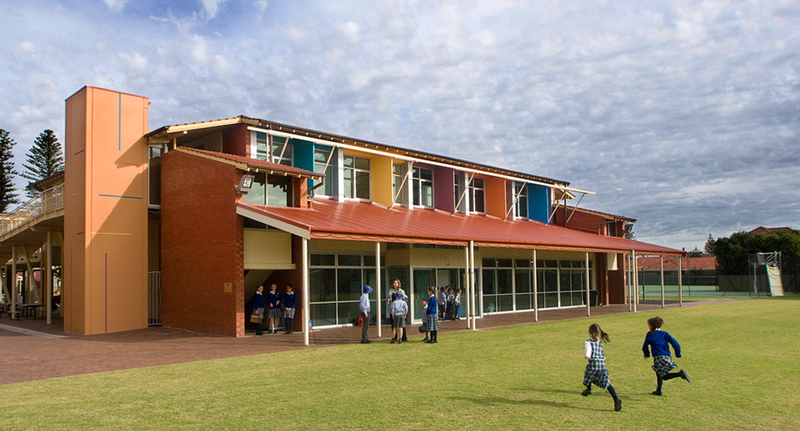 This has provided a design freedom to shape and build a learning village where each building has a unique identity and name reflective of context and purpose. 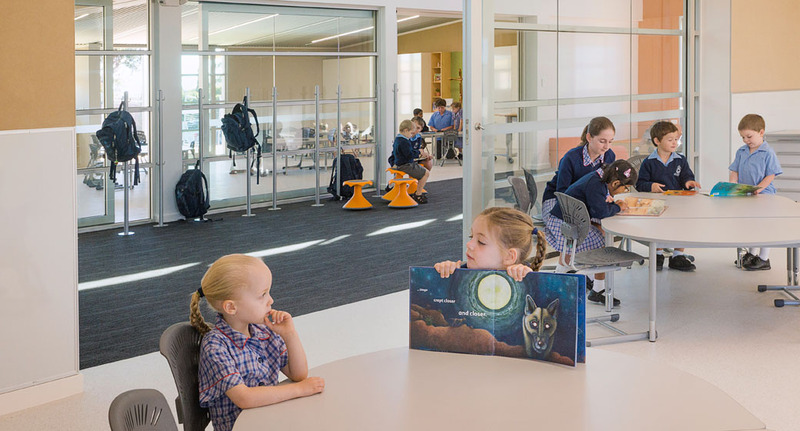 The new Susan Sullivan Library is on the upper level of a two storey addition positioned between the art, technology and science facilities. 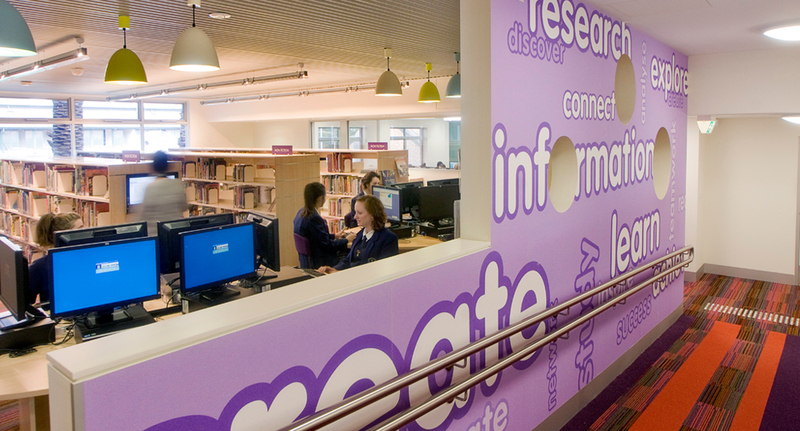 The lower level provides three linked learning areas. 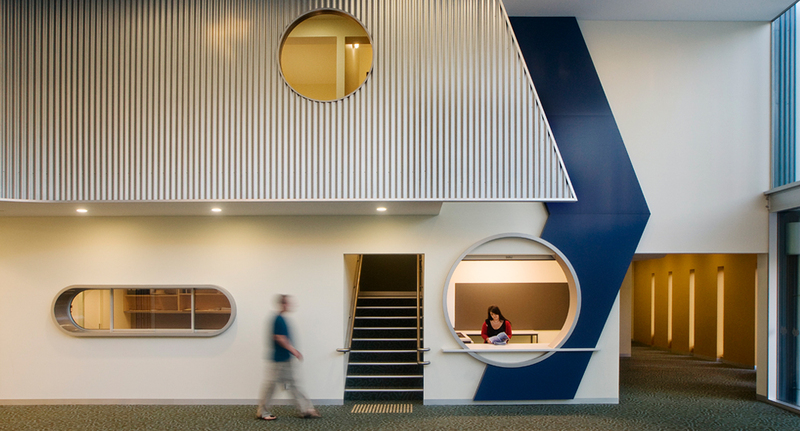 The architectural approach was to design from the inside out. 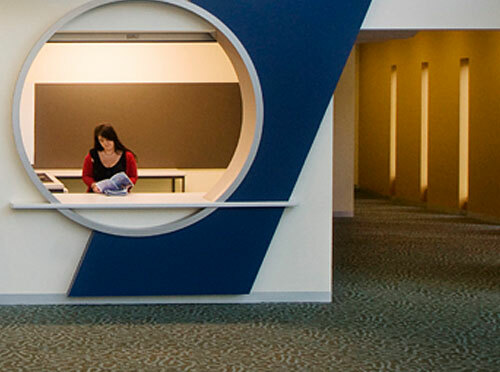 First and foremost was the need to understand purpose, operational needs, functional relationships and objectives. 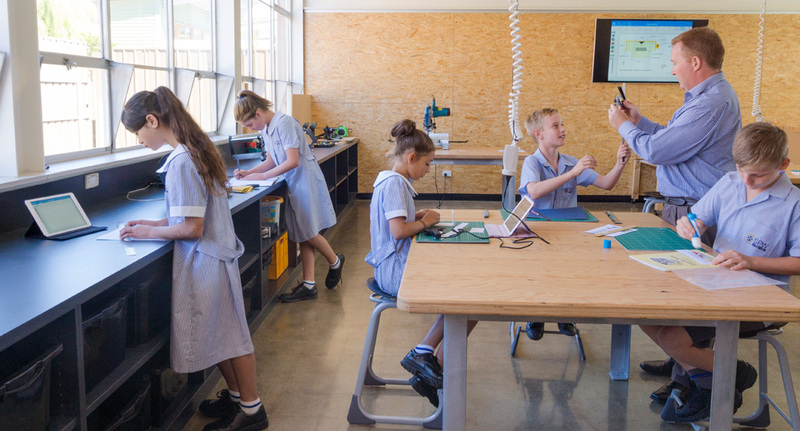 The result has breathed new life into the compact Adelaide city campus that includes significant heritage listed buildings. 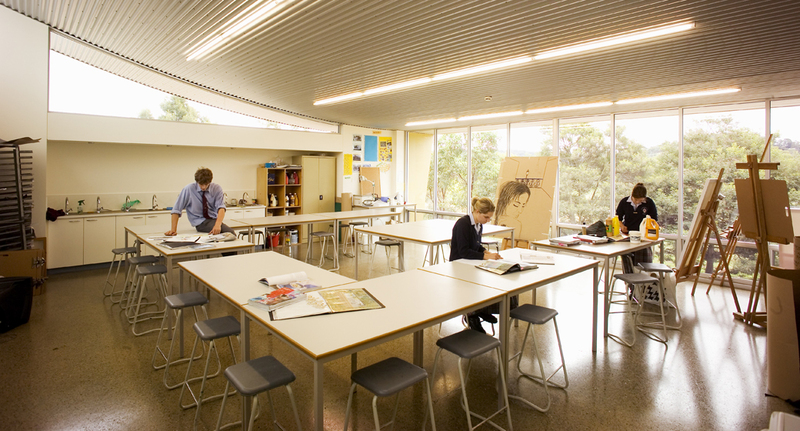 The facilities are filled with daylight drawing the outside in. 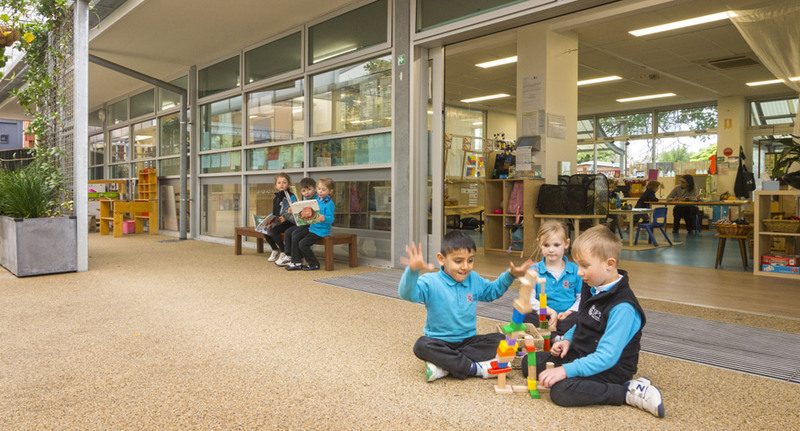 Resources are easy to find and the spaces easy to use. 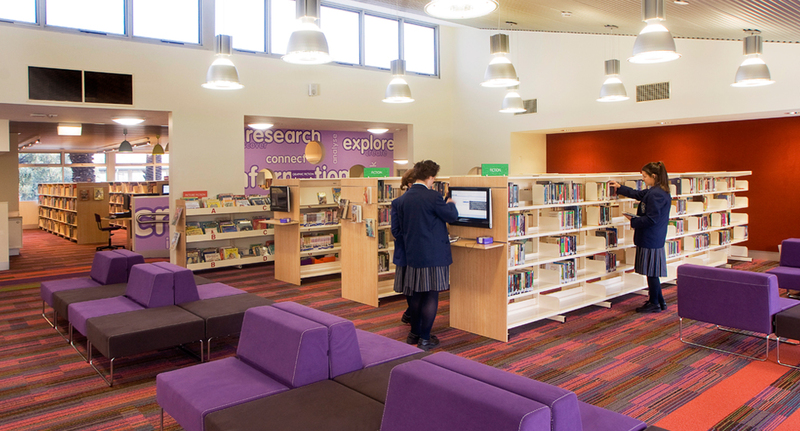 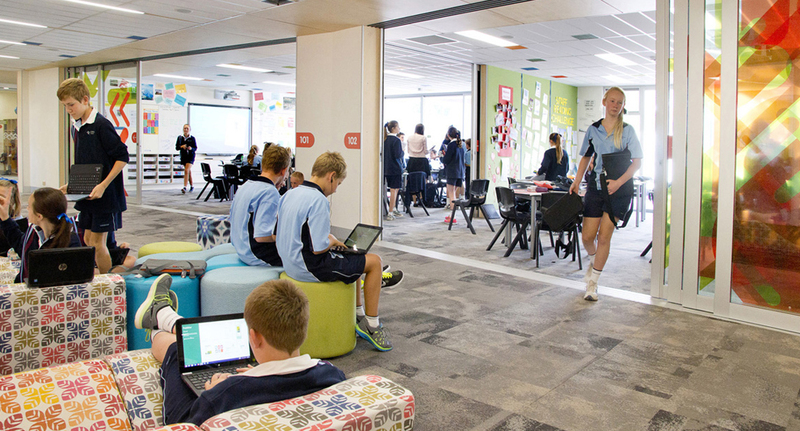 The new Middle Years Learning Centre clusters five learning areas around a Learning Common. 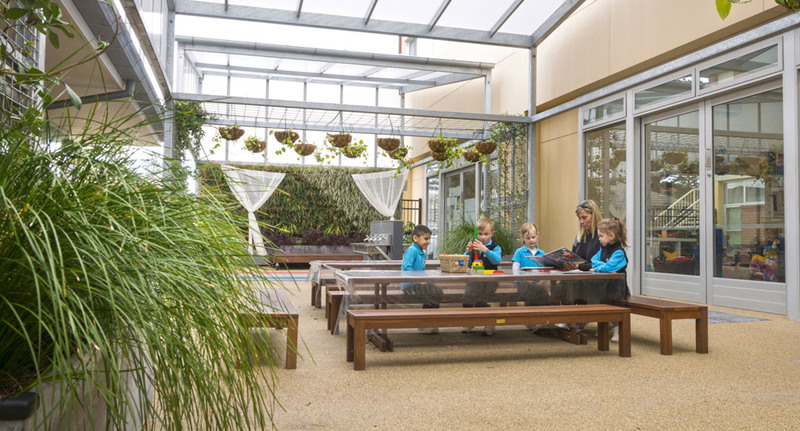 Each space has direct access to outdoor decks and wet areas. 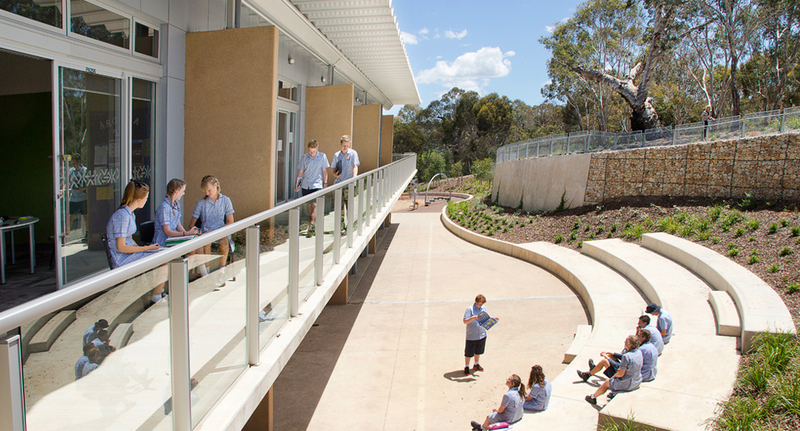 The site slope has been used to create a building undercroft for rainwater harvesting and the storage of physical education equipment. 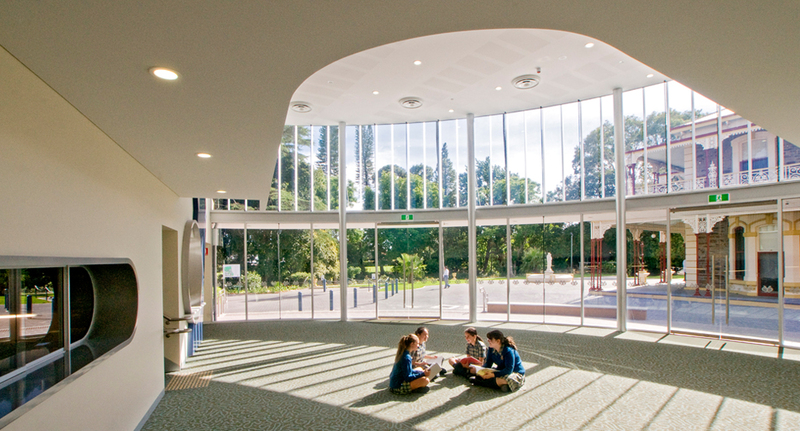 The staff and students are delighted by the flexible and adaptable nature of the spaces that are filled with natural light with effective cross ventilation. 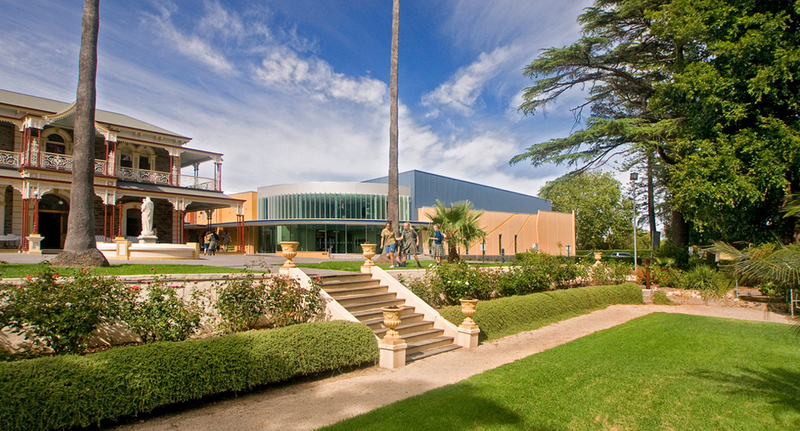 The Loreto College senior campus in Marryatville is a unique setting centred on The Acacias mansion and state heritage listed gardens. 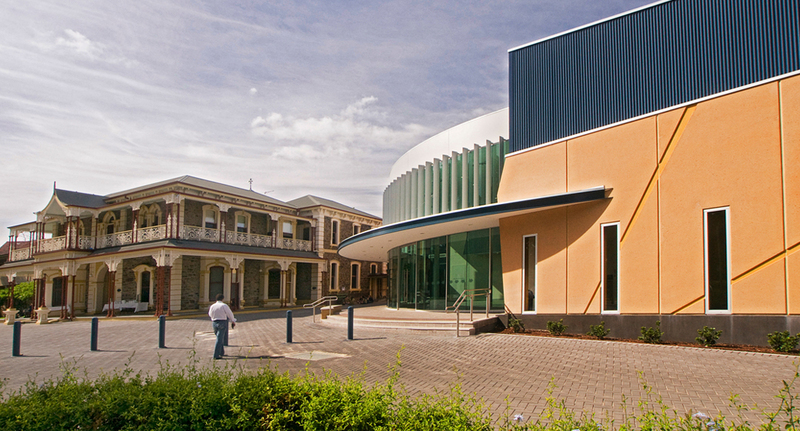 The new arts and community centre replaced the two storey St Anne’s Convent. 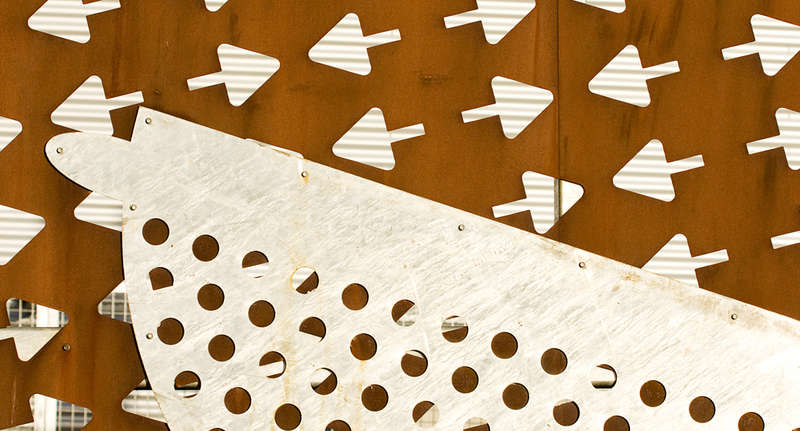 The plan form is driven by context and the opportunity to provide a public face to the busy arterial Portrush Road west of the site. 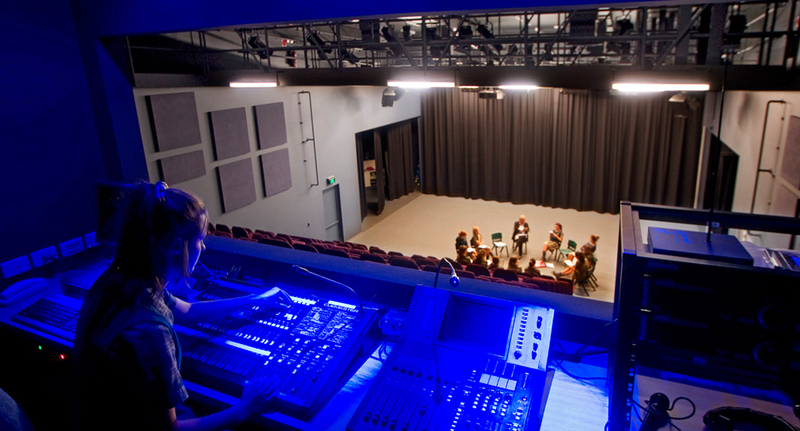 There were acoustic separation and containment challenges for the multi-use performance space and ancillary facilities. 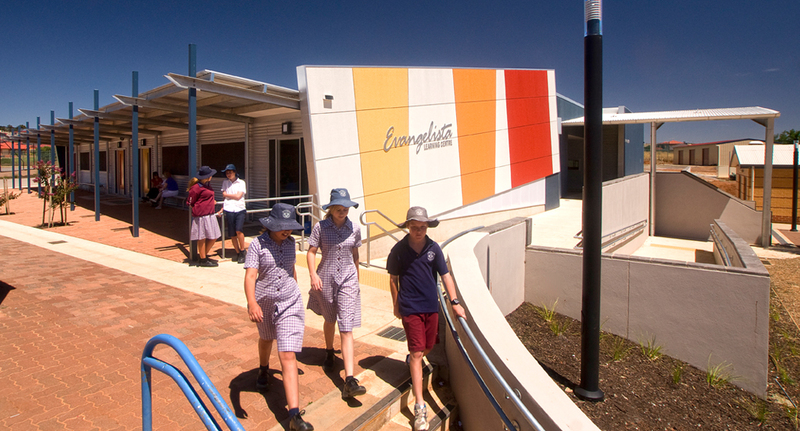 The recently completed projects comprising the Evangelista Learning Centre for upper primary students and the Multipurpose Hall are bold and contemporary. 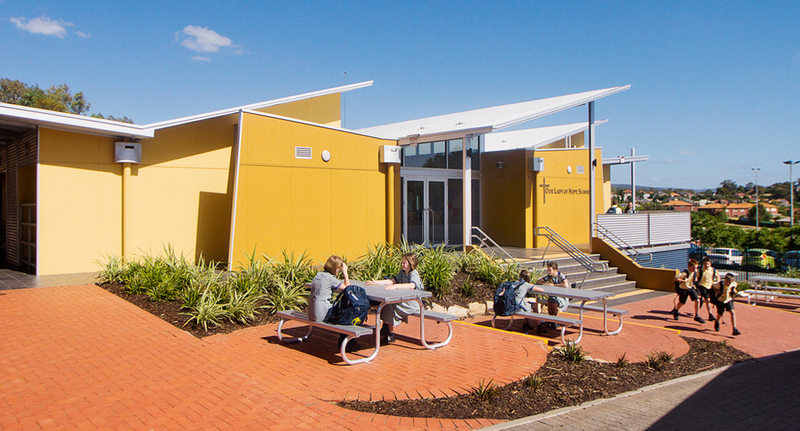 This has reshaped the identity of the campus in Craigmore that was structured around utilitarian masonry buildings. 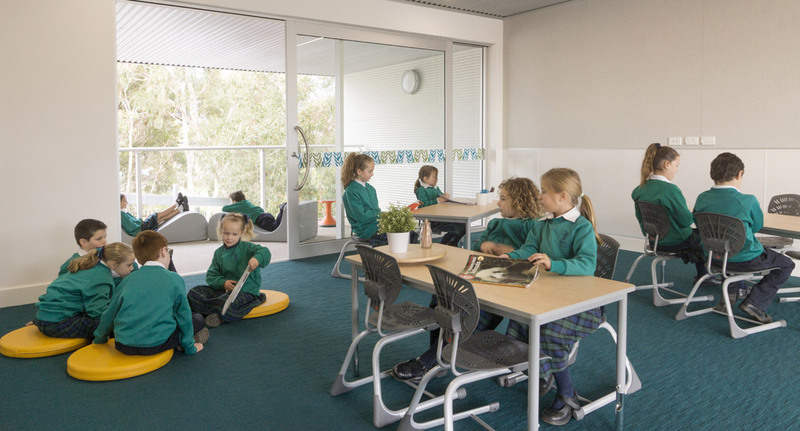 The new functional arrangements support collaborative learning with flexible and adaptable spaces that are easy to use. 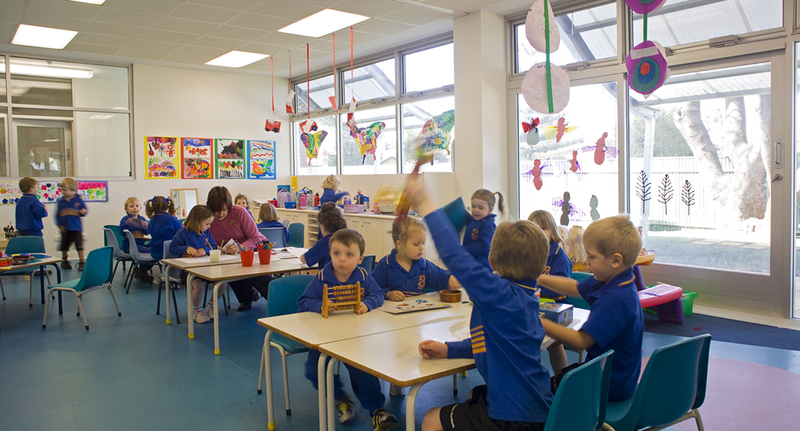 This is a place where learning is fun.